A GIMMER from the Strathbogie flock of Jim Innes, Huntly, led the Christmas Stars sale of in-lamb Texel females, Carlisle. Sale leader at 16,000gns was an ET daughter of Glenside Wildboy out of a dam by Scholars Twenty Twelve. In-lamb to the 32,000gns Mullan Armani it sold to Charlie Boden, Stockport. Mr Boden then paid 12,000gns for another from the Strathbogie pen. An ET-bred daughter of Millars Windbrook and out of a dam by Clinterty Par One, it sold in-lamb to Armani. Mr Boden then took 8,000gns for two from his Sportmans flock. First was a Mellor Vale Wildcat daughter out of a Tullylagan Tonka daughter which sold in-lamb to the 70,000gns Teiglum Young Gun to Robert Evans, Shrewsbury. Going to the same buyer was a Strathbogie Whiplash daughter which is out of a ewe by Cairnam Talisman, in-lamb to Deveronvale Aerostar. 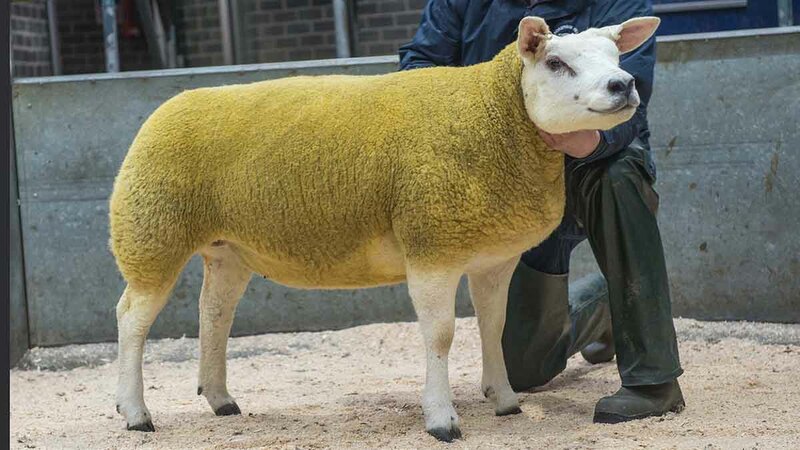 A further two then sold at 7,000gns, a gimmer from Graham Morrison’s Deveronvale flock, Banff, which sold to Sandy Lee, Fraserburgh, and a gimmer from Robert Cockburn’s Knap flock, Errol, which went to Robert Bennett, Meifod. Eden Valley, 2 gimmers £1,023.75; Midlock, 5 gimmers, £1,533; Deveronvale, 13 gimmers, £2,689.62; Milnbank, 13 gimmers, £2,067.69; Sportsmans and Mellor Vale, 11 gimmers, £2,787.27; Annan, 6 gimmers, £595; Strathbogie, 13 gimmers, £3,565.96; Cowal, 5 gimmers, £2,100; Knap, 10 gimmers, £2,877; Fordafourie, 4 gimmers, £695.62; Glenside, 14 gimmers, £2,006.25.